On 20th March – 6th April 2015, the iconic British Home Show will return to Olympia in London, marking its 107th Year. To celebrate its homecoming, the 2015 show is set to be bigger and better than ever before! In its fantastic new location, over 600 exhibitors will be spread across three halls, with bigger brands, and three stunning full scale show homes. 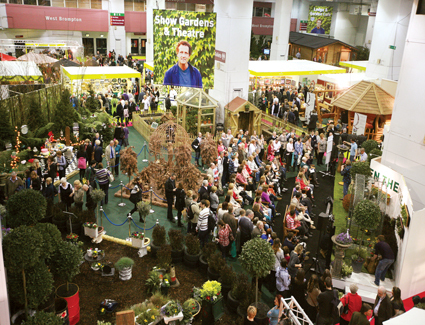 The show will also feature a whole host of celebrity ambassadors, including TV presenter and inspirational author Katie Piper, TV presenter and architect George Clarke, gadget expert Suzi Perry, food critic Gregg Wallace, interiors icon Laurence Llewelyn-Bowen, and returning favourite Alan Titchmarsh as this year’s gardening expert. We’ve got x5 pairs of tickets to giveaway to the show – all you have to do to enter and win is answer a question on our Facebook page….